Proudly serving our friends and neighbors since 1946. Click on the Radio for live radio dispatch. Enroll in the Town of Campbell CodeRED Emergency Notification System. The Town of Campbell Fire Department is escorting Santa around French Island again this year on Sunday the 2nd of December. He will be making scheduled stops at most of the public parks on French Island. The firefighters will be pulling Santa’s sleigh behind their fire truck so that his reindeer can get some much needed rest before the big day. 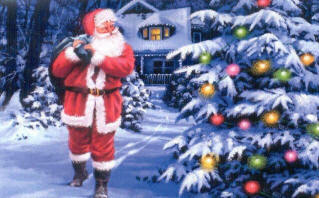 Santa will have a bag of goodies for all the good little boys and girls of all ages at each of the scheduled stops. Below is a list of the scheduled stops and their times. · If a family living on the Island has a request to visit with Santa due to a special circumstance please call 608-780-6756 and we will make sure Santa makes a special stop.